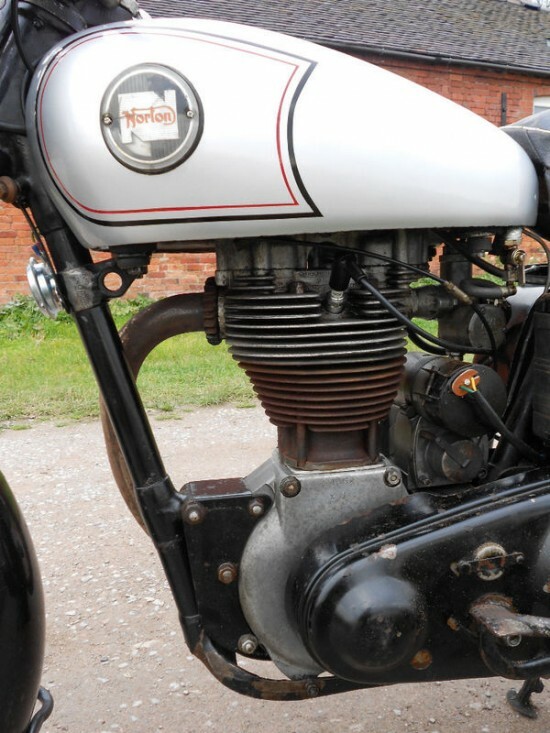 Norton has offered many different models over the history of the brand, and then of course there have been many different Norton company’s. 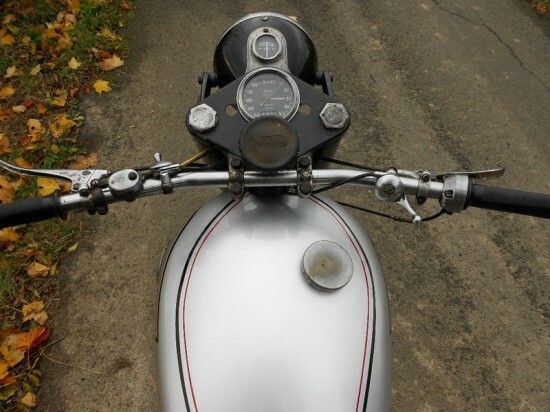 One of the models that had the longest run was the ES2 which was offered from 1927 until 1964. This 1955 ES2 offered over in England on eBay.uk fits somewhere in the middle. 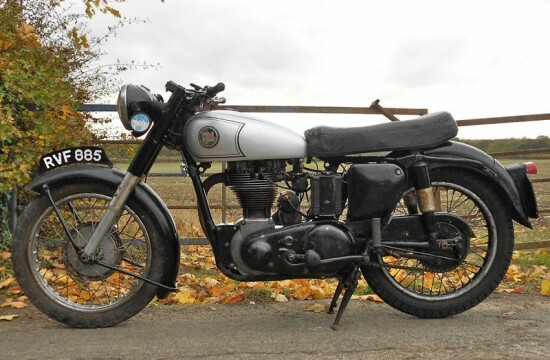 Here is a very original and to the most part unrestored example of the famous Norton 500cc sporting single, the ES2. This old thumper starts easily and sounds great. It is an old unrestored bike and the engine probably hasn’t been touched for years but it sounds OK. It really is a pleasure to ride this big old single. It pulls like a train through all the gears and whilst it doesn’t accelerate like a big twin, it more than makes up for it in character and charm. The first years this 500cc, with its 29hp at 5000rpm was put into a rigid frame with girder front forks. Part of the history of the model is what the name means. One source claims that it stands for Expensive Sport, 2nd model. I have also read that it was named after a rider for Norton who’s initials were E.S. 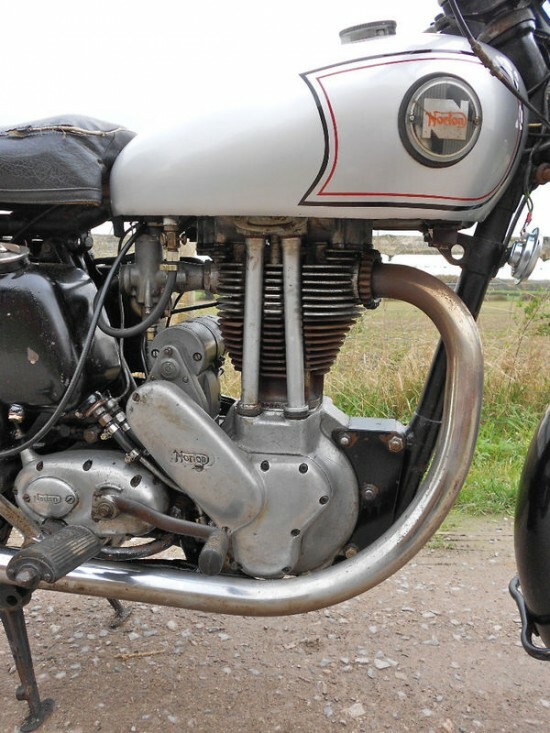 Which ever it is, the ES2 continued along side many Norton models through the years. The lighting system is up and charging well on the original system with Lucas MCR2 regulator. The Smiths 120mph speedometer is working well. The brakes are good especially the beautiful big front brake which is smooth and powerful. The gearbox and clutch are both A1. Frame and engine numbers are also the matching originals, both K4-59858. 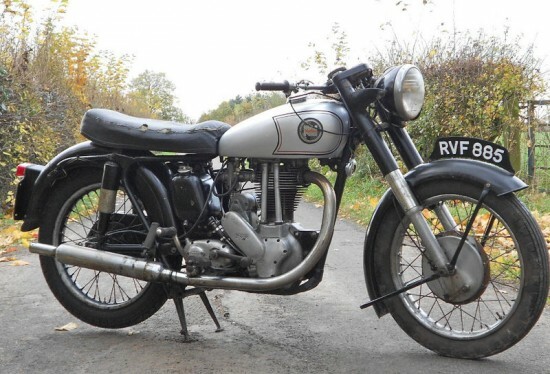 Cosmetically the bike is scruffy but then again you could say very good for year considering it is in the most part original , unrestored paintwork. The enamel on the frame is still mostly ok, although there are a few flaky patches particularly under the engine. 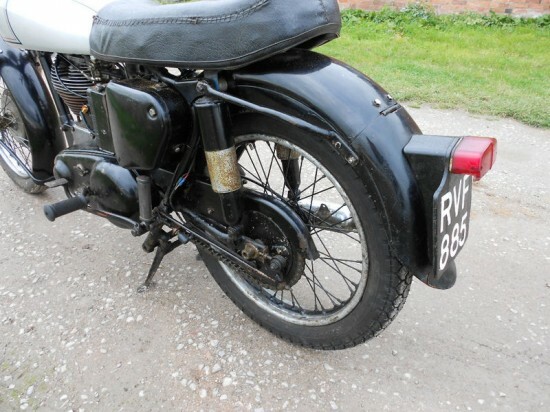 Enamel on the mudguards, oil tank, fork shrouds etc all looks like original paint in quite decent condition. By that I mean it is sound and strong, not necessarily still with a good gloss! The primary chain-case has chipped original looking paintwork. Upgrades were made to the frame through the years with front hydraulic forks being added in 1947 and the first swing arm frame in 1953. The famous Featherbed frame started to hold the old ES2 engine in 1959, so this one will not have the extra stability that the famous frame provided. This may be a factor in why this one survived and was not sacrificed to make a Triton sometime in the 1960’s.